Force India’s Nico Hulkenberg was handed a one-place grid penalty for the German Grand Prix following a breach of tyre rules in Saturday’s qualifying session. The German used a set of tyres in the opening phase of qualifying that his Force India team had "returned" to supplier Pirelli after Saturday’s final practice, stewards said. “The team returned electronically the wrong set of tyres and used these during Q1,” a note from the stewards read. As a result, Hulkenberg ended up using tyres “without appropriate identification” during that part of qualifying. The rules require teams to hand back two of the total 13 sets of tyres allotted to them for the weekend before qualifying. They are marked with a unique identification on the tyres’ sidewalls. 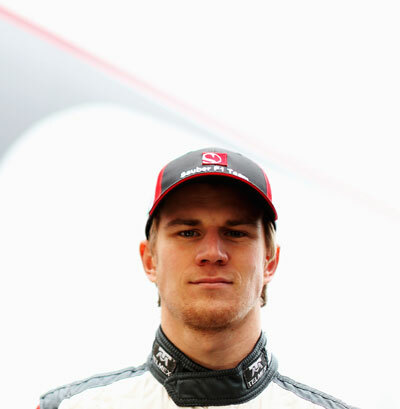 Hulkenberg, who qualified seventh for his home race, will drop to eighth as a result of the penalty. He stays on the fourth row of the grid, but swaps places with the Williams of Valtteri Bottas. Toro Rosso’s Carlos Sainz also collected a grid penalty. The Spaniard, who qualified 13th was hit with a three-place drop for impeding Williams driver Felipe Massa. He will start Sunday's race in 15th, however, due to a five-place grid penalty for Haas driver Romain Grosjean, awarded for an unscheduled gearbox change. The Frenchman will start 20th.